The Pond’s Institute has spent years speaking with Asian women and listening to their beauty concerns. Through this research they know Asian women want help reducing specific signs of aging such as fine lines, wrinkles and age spots. 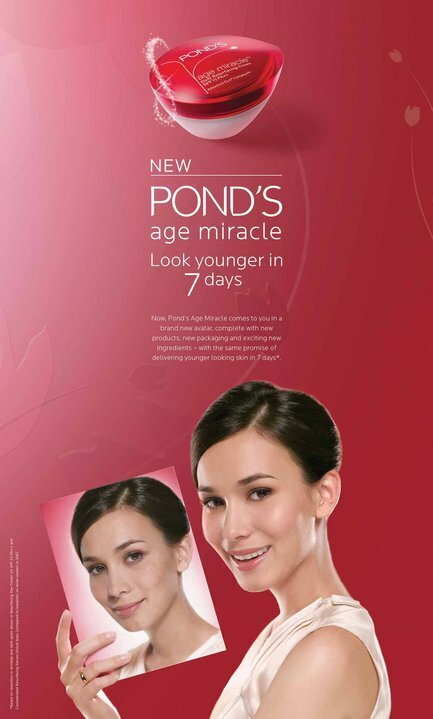 In response to this need and to help women maintain their best skin as they get older, the Pond’s Institute has continued to develop their breakthrough anti aging technology and can proudly offer Pond’s Age Miracle™ with Advanced CLA4 Complex.